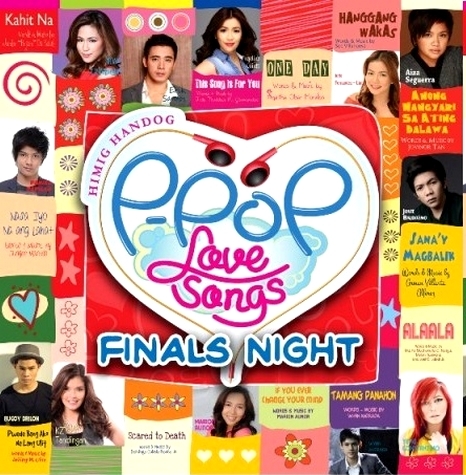 The winners of the Himig Handog P-Pop Love Songs 2013, the Philippines’ biggest multi-media songwriting competition, have been announced at the SM Mall of Asia (MOA) Arena on Sunday, February 24. The winners have been chosen from among the triumphant composers who made it to the finals. Teen hearthrob Daniel Padilla’s interpreted song, “Nasa Iyo Na Ang Lahat” composed by Jungee Marcelo, won most of the special awards: MOR Listeners Choice, Tambayan Listeners Choice, CD Buyers, and MYX music video award while the ballad titled “This Song Is For You,” composed by Jude Gitamondoc and interpreted by Erik Santos, won the TFC’s Choice award. The event was hosted by Xian Lim, Kim Chiu, Matteo Guidicelli, and Megan Young. Chaired by singer-songwriter Ogie Alcasid, the panel of judges included Jim Paredes, Louie Ocampo, August Benites, Jett Pangan, Olivia Lamasan, Freddie Agular, Cory Vidanes, Jed Madela, Freddie M. Garcia, and Sarah Geronimo. Bamboo, Zia Quizon, Abra, Young JV, past Himig Handog interpreters Bituin Escalante, Anna Fegi and Martin Nievera were among the special guests.